All children seem to love playgrounds. They don’t need instruction on what to do with climbing bars, swings, a sandbox or a crawling tunnel. They run right off to play. It’s not unusual to see children become fascinated with a ladybug crawling across a branch, an ant working its way over a fence or a caterpillar inching itself through the grass. Children are naturally curious and full of energy. 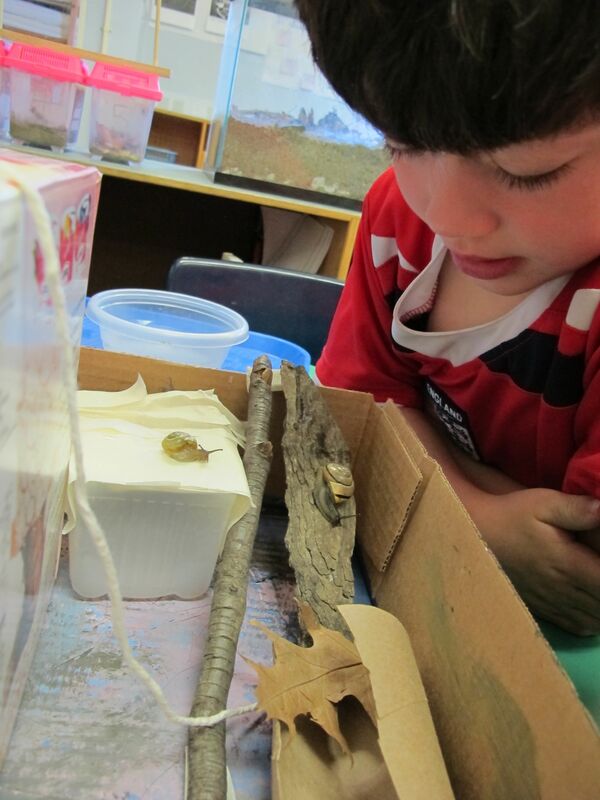 So what happens in a kindergarten class where children who are studying playgrounds are introduced to a tankful of snails in their science center? A playground for the snails! Of course this magical combination of a snail study and playground study needs some special conditions to allow this idea to take shape. It needs children who have had opportunities to visit and play in many playgrounds. These children need to have had the time and encouragement to freely observe and explore snails in their science center. There should have been many experiences for children to use their imagination as they worked with a variety of open-ended art materials. 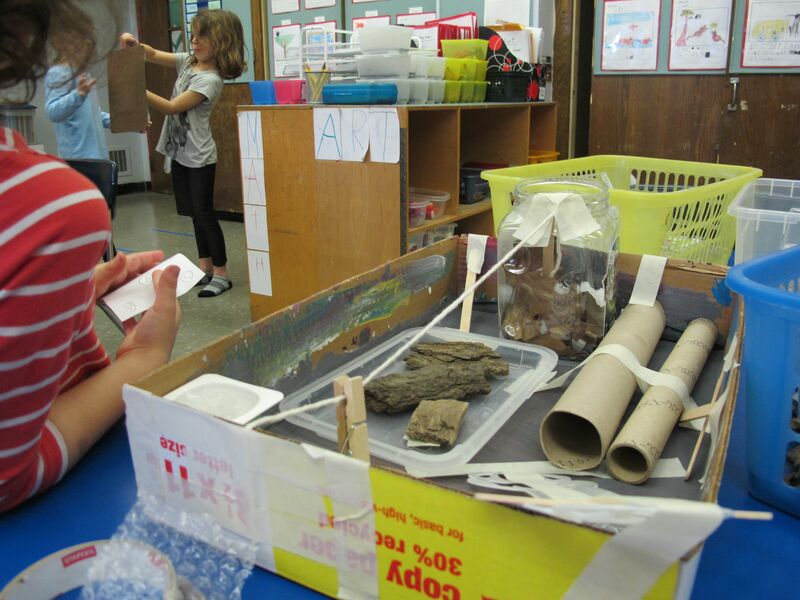 AND, quite importantly, there needs to be a teacher who values exploration, inquiry, play and imagination. You will find all of these ingredients in Bill Fulbrecht’s kindergarten class at P.S. 321 in Brooklyn, New York. When I visited during Choice Time this week, the children were in the midst of the playground study that began even before the start of the school year. During the summer Bill sent out a letter letting the children know that they were all going to become playground experts that year! 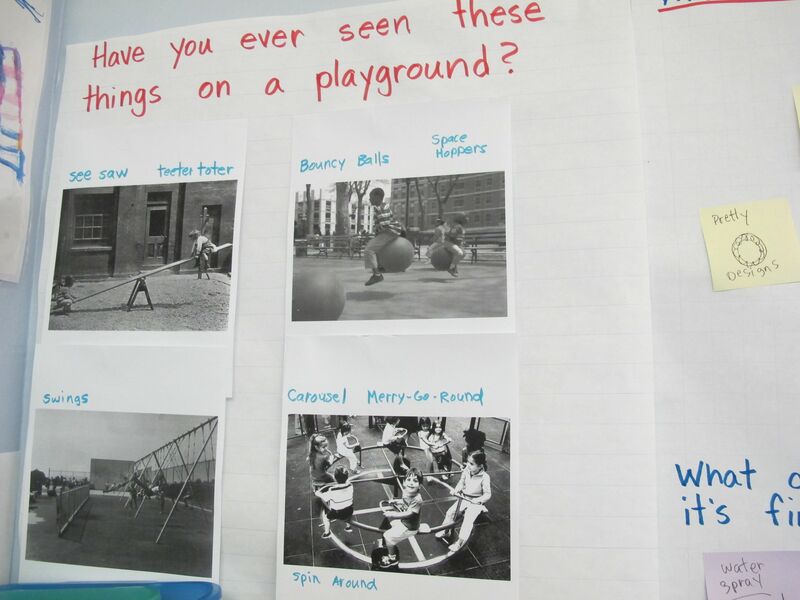 He encouraged the children to bring in, on their first day of school, drawings and pictures of playgrounds. The seed for the study was planted! Over the course of the last few months the class has taken many trips to playgrounds both in the neighborhood, in Prospect Park, and around the city. They periodically walk to a nearby site to observe the development of a new playground being built. A few weeks ago they interviewed the playground designer. A notebook is passed from family to family. 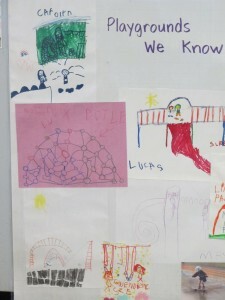 Parents write and draw sketches of their personal memories of going to playgrounds when they were children. These stories are shared in class. This winter, Bill brought in some snails for the science center. The children conducted all sorts of “snail experiments”. They discovered what snails like to eat, how quickly they move, and, of course, how to care for them. At the art center, we noticed children twisting paper to make snails. They used the digital microscope in the science center to create snail movies. Someone came up with the idea of making a playground for the snails. The idea delighted the class and Mr. Bill flew with it. He suggested that they begin collecting boxes and other materials so that they could start the project. 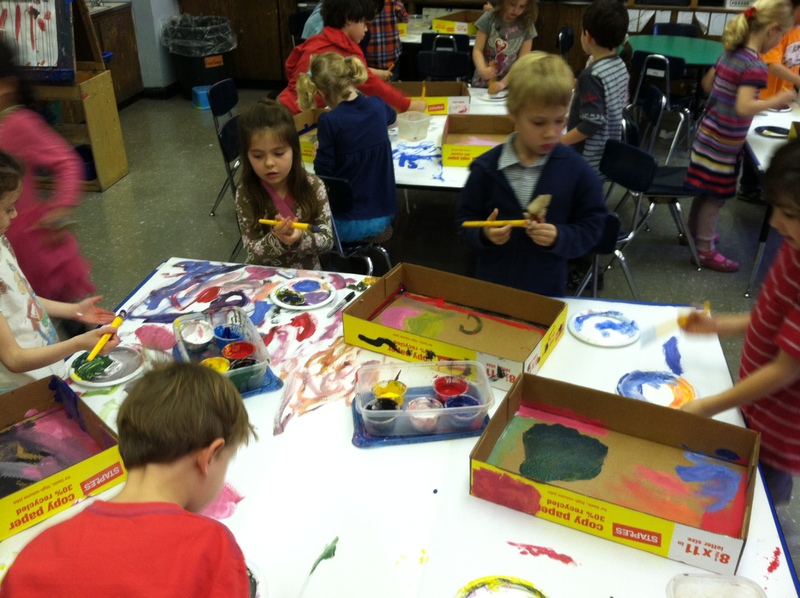 They began by painting the boxes that would become the foundations for their playgrounds. Children worked in partnerships to draw plans for a snail playground and they shared these drawings with each other. 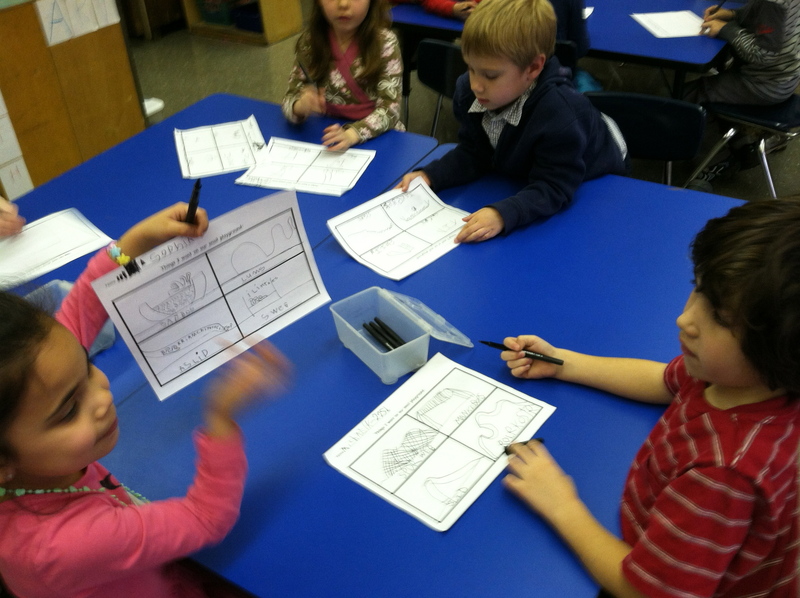 Then, during Choice Time, children signed up to begin constructing the playgrounds with their partners. When the playgrounds were completed, they signed up for taking turns to bring the playgrounds to the science center so that they could let the snails try out the equipment! This project is still in progress. Yesterday when I visited the class, I recorded some of my observations as I watched two children at the art center and two at the science center. Later, when I left the class, I looked over my observations and jotted down some thoughts about them and some possible next steps. I noticed that all four of the children seemed particularly focused on issues of safety. Snail safety? Playground safety? I’m not quite sure from my one observation. I’ll share my notes with Bill and get his ‘take’ on this. It’s so gratifying to see children traveling through this study at a snail’s pace…exploring, creating, collaborating, improvising and having a wonderful time. This entry was posted in Investigating Choice Time: Inquiry, Exploration, and Play and tagged art center, Choice Time, imagination, irish children's chant, next steps, observations, open-ended art materials, playground, playground safety, playground study, project, science center, snail, snail study on March 20, 2012 by Renee. I love the fact that the children came up with the idea of the snail playground and then Bill acted on that idea. 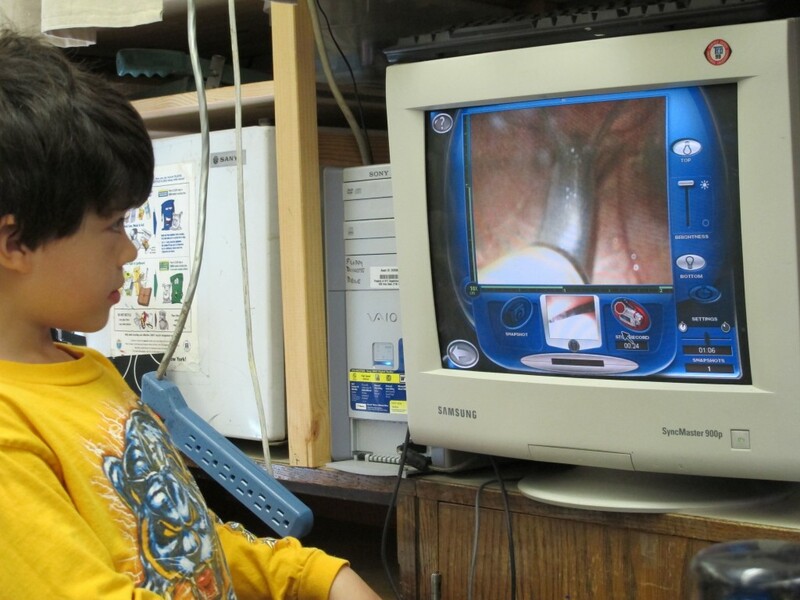 It would be great if more spontaneous projects like these could happen in more classrooms. All too often there’s such a concern to get through the required curriculum, that allowing the children’s natural curiosity and imagination to act as a guide is lost. Hats off to Mr. Bill! Simone, over the years you and I have had so many conversations about Choice Time, haven’t we? It doesn’t surprise me that you picked up on the importance of “going with” these spontaneous projects. Let me add a bit to your thoughts though. One important thing that Bill did is that he waited. He didn’t just jump in but he gave some time to see if this was a topic that would be a lasting one for the children. Then he did some preliminary planning. As our mutual friend, Connie Norgren, said, “He planted a seed.” He didn’t come in with the whole plant. He let the children determine a lot of the direction. But he had some structure, ideas and big goals in mind before they plunged into this wonderfully playful study. Sometimes new teachers don’t understand all of the planning that goes into setting up an inquiry-based curriculum. Then they get started and feel disappointed when it turns into a free-for-all in the classroom. Mr. Bill understood that he needed to think this through and then he could give the children the freedom to ‘go for it’! As your mother, Simone, what I particularly love is how you have taken this philosophy (did I drill it into your head as you were growing up?) and applied it to your life as a musician! Great investigation, two great topics near and dear to the children’s hearts! Great teacher who listens and responds to his students! Coming from a different angle, we were addressing our 2- and 3-yr-olds’ fears of bugs, we ended up with a very similar project in our toddler room this spring! I think it is cool that both this kindergarten group and our group of young children, when allowed to construct their own tools for learning, came up with very similar projects! 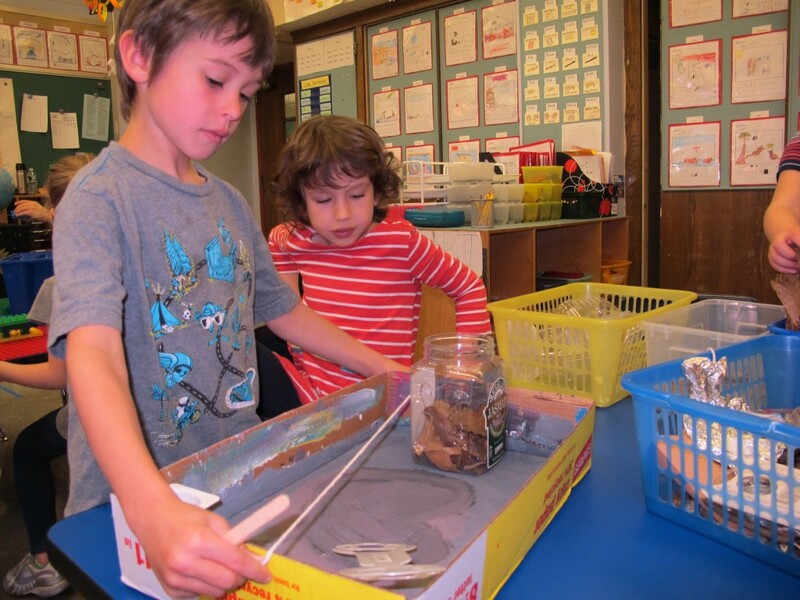 If you are able, maybe the kindergarteners would be interested seeing the playground that our 2’s & 3’s made for bugs! You are so right about the wonderful things that happen when children are given the support and freedom that you and Bill give them. I’m going to pass on your links to Bill. Keep sharing your wonderful work! I am so happy to find your blog and reconnect with you. 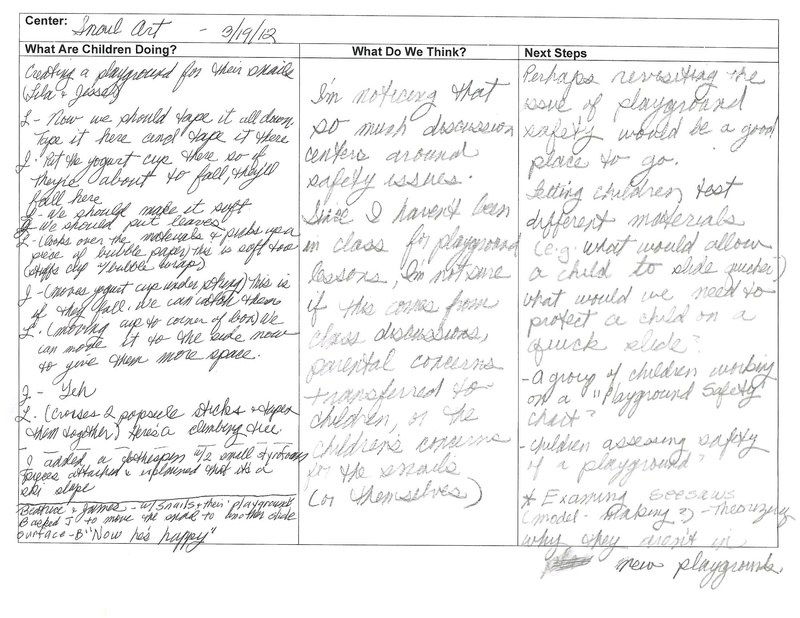 I am not sure if you remember me but I met you at a Reggio study group in October 2008. You were there with a group of teachers from the Brooklyn New School. At that time, I was working as a Pre-K teacher at the American School in London. I have been back in NY since 2009 and am back at the Earth School where I had taught for 7 years before going abroad. I know it is the end of the school year, but I am hoping that we can keep in touch and possibly get you to visit the Earth School in the near future. I certainly do remember you! I’m so glad that you’ve contacted me. I would love to visit the Earth School. I’ve heard so much about it but I’ve never visited. Do you know that I’m going back to Reggio Emilia in October. I think that it’s going to be a particularly exciting trip. We’re focused on getting ideas for bringing the big concepts and practices up through the grades in the US. So wonderful to hear from you!